First introduced in 1974 at the National Paint Show, KILZ brings a variety of primers and specialty paint to consumers. KILZ offers both oil-based and water-based products. As with other brands of paints and primers, KILZ can splatter and land on surfaces such as cotton fabric in upholstery or clothing. When this happens, it is best to move quickly and remove the paint while it's still wet. After the paint dries, removing it from cotton becomes a bit more difficult. 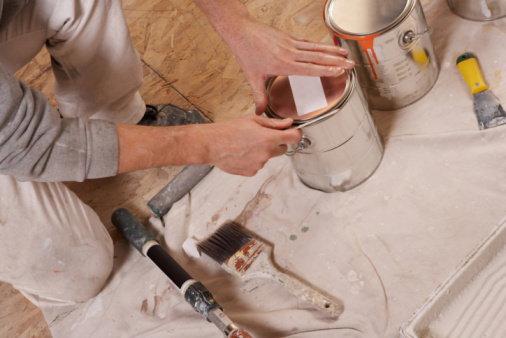 Removing oil-based paint from cotton can be done with turpentine. Place the cotton, with the paint facing up, on a level surface. Scrape the excess paint off gently with a butter knife. Fold several paper towels in half and place them on a flat surface. Flip the cotton fabric over and lay the paint directly on the paper towels. Dampen a clean rag with turpentine and blot the back of the stain for several seconds. Replace soiled paper towels with clean ones and continue blotting the back of the paint stain with the rag. Rub one to two drops of dish soap into the stain and allow it to soak overnight. Rinse the area clean with cool, running water. Launder as you normally would. Examine the stain. Apply a prewash stain treatment if the stain persists and allow it to sit for 15 minutes before laundering again. Remove the excess paint off the cotton by scraping gently with the back of a butter knife. 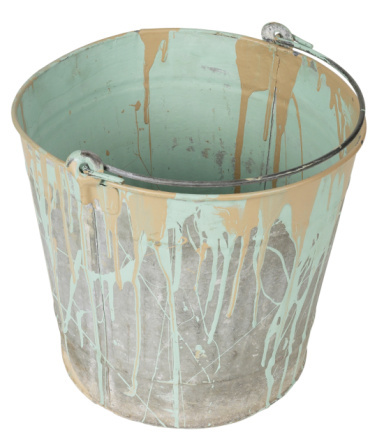 Rinse the back of the paint stain with warm, running water for several seconds. Fill a small container with equal parts warm water and clear dish soap. Mix thoroughly with a spoon. Dampen a clean, white cloth in the mixture and vigorously blot the paint stain for several seconds. Rinse the soapy mixture off the cotton with warm, running water. Repeat steps 2 and 3 until all KILZ paint is removed. Launder as you normally would.